At the top of the hour, we connect with Ashkon Hobooti to hear about the 4th annual Vegan Rock, which will happen at The Boat in the Kensington Market on February 23rd. Come listen to “happy, fun, upbeat” music from an all-vegan lineup of musicians — Dream Awake, Stefi Beck, Matt Zadkovich, and Hobooti himself — and indulge in some delectable bake sale goodies, including gluten free, raw, and nut free choices! 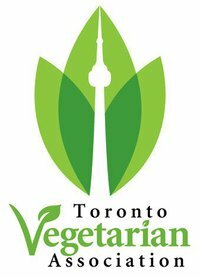 All proceeds will go to the Toronto Vegetarian Association. Then, in our feature interview, we speak with Jennifer Cox, who writes about queer, gender, and feminist issues for Because We Must. Because We Must writers strive to illuminate “both the diversity and interconnectedness of struggles against oppression”. In her recent piece, Reproductive Justice: Arguments for Animal Advocates, Cox discusses the lessons animal advocates can take from the reproductive justice framework. By looking beyond the reductionist way large national organizations frame issues, and listening to communities whose voices have been marginalized, advocates may discover a world of under-reported struggles, unique strategies, and potential allies. In this wide-ranging conversation, Cox also touches on the limits of rights-based activism, why animal liberation is a feminist issue, why people need to be “unapologetically out” about the causes they care about, and the vital importance of humility and acknowledgement of privilege in conversations within activist communities. Tags: Ashkon Hobooti, Because We Must, feminism, gender, human-rights, Intersectionality, Jennifer Cox, queer, reproductive justice, Toronto Vegetarian Association. Bookmark the permalink.